Three and a half years in and I never knew this. Or, maybe I did and I forgot. Who knows. 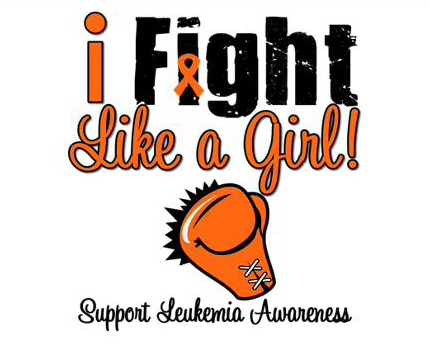 September and Leukemia & Lymphoma Awareness Month. About 1,596,670 new cancer cases are expected to be diagnosed in 2011. In 2011, about 571,950 Americans are expected to die of cancer, more than 1,500 people a day. Cancer is the second most com­mon cause of death in the US, exceeded only by heart disease. In the US, cancer accounts for nearly 1 of every 4 deaths. Since my main diagnosis is chronic lymphocytic leukemia (secondary is small lymhocytic lymphoma), let’s talk a little about it. 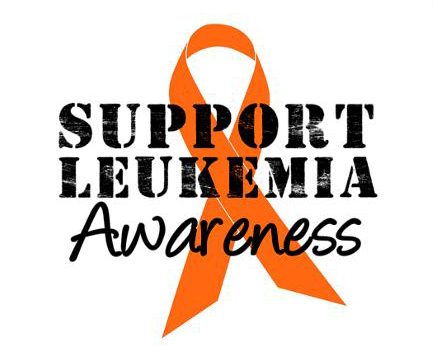 An estimated 44,600 new cases of leukemia are expected in 2011. An estimated 21,780 deaths are expected to occur in 2011. Leukemia, a cancer of the bone marrow and blood, is classified into four groups according to cell type: acute lymphocytic (ALL), chronic lymphocytic (CLL), acute myeloid (AML), and chronic myeloid (CML). Survival rates vary substantially by leukemia type, ranging from a 5­ year relative survival of 24% for patients diag­nosed with AML to 80% for those with CLL. All stats come from Cancer Facts & Figures 2011 on the ACS website. People always tell me they don’t know what to say or don’t know what to do, here are a few suggestions. If you area not already, consider becoming a bone marrow donor. Joining the registry is not hard and you could possibly save someones life (maybe me someday:). Work with The Leukemia & Lymphoma Society. There are TONS of way to help from donating money to volunteering and running. Same goes for the American Cancer Society. Their trademark event is Relay For Life, but there are tons of other opportunities. Or, turn Facebook/Twitter orange to help raise awareness. Snag the graphic below and set it as your profile picture for the month of September.